Claiming the crown for the ultimate ute. Old rivals meet again in this fight for the right to be called “King of the Outback”. When the going gets tough, the tough get going. Which of these two utes will be right for you? Both are packed with some heavy-hitting features that are almost drool-worthy, and we could barely pull over long enough to tell you about them. Some say the heart of your vehicle is the most important part, so let’s dig into the engines first. The Hilux has moved to a new turbo-diesel engine that can rip at the top end of 450Nm in the torque department. This 2.8- litre workhorse features a six-speed, automatic transmission that gives drivers new to off-roading a helping hand. Look good while gliding along as the engine compensates the revving and shifting for the best terrain navigation. Manual options are available if desired. 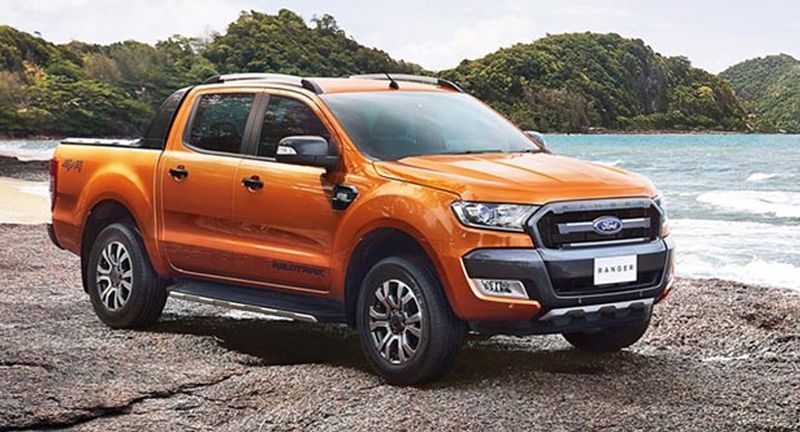 Ford’s Ranger sticks to a slightly larger block, ringing in at a 3.2-litre turbo-diesel that cranks out 470Nm of torque. This powerhouse offers a towing capacity of 3,500kg with a 1,000kg payload. Now in the eighth generation, the Hilux has finally stepped up its towing game to meet the Ranger’s specs, where it was beat in previous years. Both utes boast an 80 litre fuel capacity, capable of holding enough of the “liquid gold” to handle long commutes and off-road adventures. Prepare for both to guzzle through their food supply when you engage their 4X4 or towing capabilities. Easy to forgive when you’re having so much fun though. With over a half-million kilometers of Australian land under its tires during testing, the Hilux is no stranger on how to handle. It has also received upgrades to its body protection, with more spots armored on the underside, and thicker metal in use; for your wildest adventures. This relates the Hilux closer to a military tank than a sports car, and the suspension and handling are a little rougher because of it. The Ranger has fined-tuned its previous models, and has received better handling reviews than its Toyota-tank competition. The Ranger handles bumps a little smoother, and feels solid while commuting on asphalt as well. Both of these utes have profiles on the larger side, and you may feel a little cramped when navigating narrow streets or looking for a parking space at your favorite shop. It keeps you safe, even when you don’t. Both utes received five-star safety ratings, and feature a plethora of airbags throughout the cabs. Rear-view cameras are available on both models, and built-in sensors alert you of dangers that may have been missed by your attention. Don’t forget to buckle up before heading out! A tough battle to moderate, finding the best choice in this neck-to-neck race may only end once you’ve been behind the wheel of both vehicles and decided which one truly spoke to your soul. From what we have seen so far, we give the crown to the Ranger. Better-rounded for city life and country exploring, the Ford comes out on top when looking for a flexible vehicle for all your active lifestyle needs. The Hilux offers a better outback experience, and would be your choice if you spend most of your days kicking up dust through the wilderness. Toyota has a wonderful record of long-term reliability and easy repairs; time will tell how the Ranger compares. We want to open this to discussion, let us know your thoughts below.